Special Agent Sydney Fitzpatrick, forensic artist to the FBI, returns to Quantico to help identify a brutally murdered young woman. 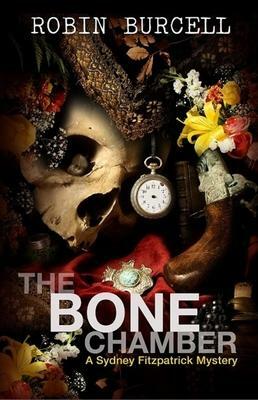 But when Sydneys friend and colleague, the forensic anthropologist who assisted her, is killed in a hit-and-run, a covert government team takes over the investigation, and Sydney is suddenly removed from the case. Certain her friends murder is connected to the first case, Sydney investigates. She discovers that the first victim was not only an archeological student, but also the daughter of the ambassador to the Holy See. Just before she was killed, the ambassadors daughter claimed to have found one of three keys that just might lead to a map of the long lost Templar treasure. Sydneys search for answers takes her to the streets of Rome, and into the underground crypts and caverns in Naples, one step ahead of a ruthless killer. Time is running out for Sydney as a fellow government agent is kidnapped. And the ransom demanded? The Templar map. "Conspiracy buffs will enjoy this...saga, which gains authenticity from Burcell's FBI training" --"Kirkus Reviews"
"Burcell's second novel offers plenty of action...variations on the Freemason conspiracy theory and a good deal of underground scrambling, Indiana Jones-style." --"Publisher's Weekly"
Robin Burcell, an FBI-trained forensic artist, has worked as a police officer, detective and hostage negotiator. After more than 20 years in law enforcement, Burcell now writes full-time.